There is no country more beloved by those who have visited than Nepal. Its warm and friendly people, a rich cultural heritage, and scenic beauty defy the imagination. Nepal is one of the few places where Hindus and Buddhists live together in harmony. This country has long been a popular destination for explorers and nature lovers. 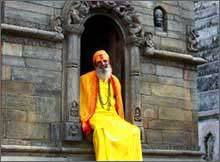 At any given moment Kathmandu is overflowing with visitors from all corners of the globe. The hot terai of the north Indian plains gives way to the foothills, then rise dramatically skyward to the icy Himalayan peaks, topping off at Mt. Everest - the highest point on earth at 8850m. Visitors revel in experiencing some of the most incredible trekking in the world, white water rafting, visiting game parks and nature preserves, or simply spending the day leisurely floating on the peaceful waters of Phewa Tal in Pokhara. In spite of these natural blessings, Nepal is one of the poorest countries ELI works in. With a per capita income of approx $490 per year, most Nepalese live well below the poverty line. Different efforts have been made through governmental organizations to improve the deteriorating situation, but the villages of Nepal show very few effects of relief and development efforts. Among the thousands of individuals who are trafficked across Nepal’s borders every year, the majority are women and children. It is estimated that Nepali women aged 15-30 make up 2.8% of the women in Indian brothels, and the numbers are sharply rising. ELI partners with grassroots organizations that work tirelessly for the promotion of gender justice, non-discriminatory and rights-based behaviors and practices. Medical and dental interns are requested to bring a lab coat with them to Nepal, or have one tailored for them in Kathmandu ($10-$15USD). No scrubs. For motivated participants, ELI offers a dual program: Volunteers spend 3 sessions a week teaching English classes at a monastery, and spend off mornings and afternoons at a nearby orphanage leading activites, mentoring and tutoring children. 7 AM – 8 AM: Breakfast time at the orphanage. Volunteer can distribute food for kids and help in kitchen. Volunteers take breakfast after the children. 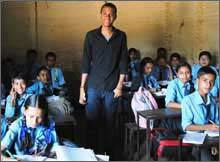 8 AM-9AM: Time for kids to go school, volunteer can help kids to get ready for school (sanitation, dressing, packing). 9 AM-10 AM: Volunteers take kids to school or make sure they get on the bus. 10 AM- 3 PM: Teaching at Monastery – English class, sometimes a basic computer class. 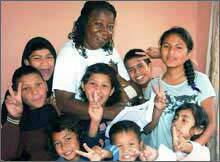 4:30 PM - 6:00 Kids comes back from school, volunteers bring kids back to orphanage safely. Help them to change and tidy their rooms. Homework and play time before dinner. ELI partners with a wonderful dog and cat rescue on the outskirts of Kathmandu. It’s an effective, humane place that offers a world of opportunities for the dedicated animal lover, passionate pre-vet, vet-tech, veterinary student, or veterinarian! You can clean cages, prepare meals for the animals, feed them, play with the healthy/socialized ones awaiting adoption and, based on your experience, help administer medication, assist the vet or vet techs with pre-op and post-op care, and help perform countless spaying and neutering procedures. This program can be considered a volunteer program for good-hearted participants who want to make a difference in the lives of Kathmandu’s street animals, or it can be considered an internship for students who are studying a relevant field. The minimum time commitment is two weeks. ELI decided in 2014 to discontinue working with orphanages. It became clear that many were scam operations set up to make money. In 2015, UNICEF issued a statement on the situation READ. 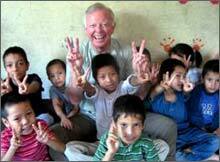 Our "Director's Blog" also has a posting titled "When Volunteering Becomes Big Business" Read. Still, if you had your heart set on working with orphans, perhaps you would be interested in a different program that we support. The program fee is higher for medical and dental programs because hospitals charge an internship fee. 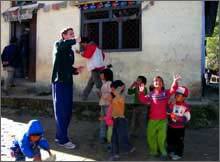 The programs in Nepal are limited to a maximum of five months due to local visa restrictions. 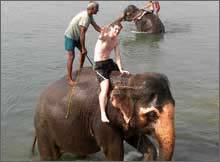 Sample Budget: $200 application fee, program fee (depends on duration), visa fee (depends on duration), $50 a week for lunch and getting around, spending money for weekend trips (riding the elephants in Chitwan, renting a boat in Pokhara, rafting, bungee jumping, trekking, etc). ELI participants in Kathmandu live together in our new volunteer house, located on the edge of Thamel (Kathmandu's tourist district). Our house is located near shops, cafes, English language bookstores, and easy access to all forms of transportation. Bedrooms are shared when the house is at capacity, so be prepared to have lovely roommates during the busy seasons (summer and fall). There are western style flushing toilets, stand-up showers, free WIFI in the main living area, and solar panels that provide warm water (depending on the sun). There is electricity, but availability depends on the rolling black outs in Kathmandu. Please note, none of the buildings in Kathmandu offer indoor heat - if you are going in the winter be sure to pack a warm coat. 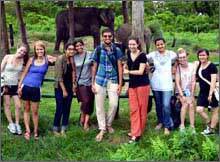 If you are interested in alternative housing, we can sometimes arrange a homestay. Dashain occurs in Sept/Oct every year, and it is a major holiday (no one works, and most businesses/projects are closed the entire holiday). Plan to take holiday during this time. Most Nepali holidays are scheduled according to a lunar calendar, so they vary from year to year. Here is a complete list of 2019 Holidays and 2020 Holidays. It is quite chilly in KTM from mid-December until the beginning of February, and there is no indoor heating at our volunteer house or at the placements. For that reason, we do not recommend doing a program during this time. What time is it in Kathmandu? Here is a great Time Conversion Tool. Be sure to pack for the season, it's chilly in winter and monsoon season is no joke! Check the Weather in Kathmandu. It’s helpful to Learn Some Nepali before you arrive, especially numbers. Participants need to visit a travel nurse before their arrival in Nepal. For immunizations, we defer to the recommendations from the Center for Disease Control. 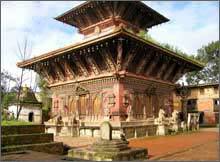 Most nationalities can acquire a visa upon arrival at the airport in Kathmandu. We will provide you with instructions in your Pre-Departure Packet. For more information visit Nepal's Embassy in the US. You will Fly into Tribhuvan International Airport (KTM) in Kathmandu. If you plan to travel on to India, you can get your Indian Tourist Visa in person at the Indian Embassy in Kathmandu. ELIers have evenings and weekends free, and there is so much to see and do! For day trips Swayambunath, Pashupatinath, and Bhaktapur should be at the top of your list. For longer trips, participants often visit Chitwan National Park to ride the elephants, rent a boat in Pokhara, go trekking, rafting, and more! Nepal is the perfect destination for outdoor adventure. 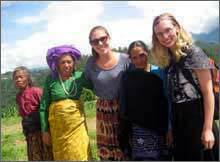 Culture Shock is a common challenge for participants in our Nepal programs. Be sure to read about the symptoms and what you can do to curb those feelings. There is a blog entry about culture shock in our Director's Blog. Lena compares Nepal and America in her blog Nepal: Culture Clash, and Timothy blogs on the same topic in Nepal: Cultural Discoveries.